We’re back with a presentation on sound pressure levels and frequency of headphones. First, a disclaimer: the correct term for the sound intensity perceived by our ear is “sound pressure level” and not “volume”, as used routinely. But for me to make it easier to understand, I will use the term myself volume in some parts of this article. All curves in the graph, out of the blue, some are logarithmic functions of different bases. The blue is the function y = x (which is a graphic and right); remaining functions are of the form y = log (x). With the growth of the variable x, blue function increases as fast as x’s, as can be seen from the graph, and logarithmic functions quickly climb at first but more slowly from a point on. The human ear is as logarithmic functions: from a point on it is needed more powerful vibration of air (what she perceives as sound) than to that point to further excite the human sensor. And what’s up with that? For example, when you rotate the potentiometer analog amplifier to increase the volume, the speaker practically applied voltage is increased, and they move wider air vibrate stronger and ear receives this change as an increase in sound pressure level. You’d like to give twice as hard, it takes twice as many volts (unit of pressure) … Unfortunately, it is wrong – Speakers applied voltage to achieve a doubling of the sound pressure level is considerably starting voltage than doubled. This is due to the logarithmic response of the ear – needs a stimulus increasingly stronger in order to feel an increase in volume. Another example: the majority of electric guitars, volume control is not very useful, because it provides a linear growth (in terms of the ear) volume; at first, grows more, and then, almost imperceptibly – basically, you can not really have a fine control over volume. The reason for this – that the potentiometer is linear and linear controls the output voltage of the guitar, and the default voltage of the amplifier and the speakers. The human ear is not linear, and do not appreciate linearity, she wants increasingly more. IMPORTANT: each doubling of perceived noise pressure level ear as a doubling means an increase of 10 dB SPL sound pressure level; Each half-life means a decrease 10dB SPL. But for every doubling of power is obtained only 3dB extra sound pressure level – for example, if you have a speaker that emits 92dBSPL, and put into operation a second box, identical, it will get a total pressure level sound of 95dBSPL; implicitly, to feel a doubling effective “volume” should put into operation another identical box (total of 3 speakers to get the feeling of double volume compared to one speaker). The human ear can perceive changes in sound pressure level 1-2dBSPL rarely, only changes 3dBSPL-5dBSPL or higher being “visible” to anyone. Speakers ability to provide a high-output, called speaker sensitivity is measured in dBSPL / 1W / 1m – that recorded the sound pressure level of 1 W power consumption, and measured at a distance of 1m. It has little significance ability of a speaker to convert electrical energy (voltage on the amplifier) into mechanical energy (vibration speaker) and not heat – basically, it is effective speaker. A speaker environment can provide a level of about 85-90dBSPL / 1W / 1m, very sophisticated and can move 100dBSPL / 1W / 1m. By default, the more a speaker has higher sensitivity can have a larger volume – statistically speaking, is more expensive, more clearly responds to transients and provides greater clarity. But there are still two factors in the method of measuring the sensitivity of a speaker: power consumption (measured in [W] you) and distance from the measured (measured in [m] ETRI) or listen to the source. Distance influences the sound pressure level in the following way: each doubling of distance from the source, it means a decrease by 6 dB sound pressure level. In a room, changes appear and sound pressure level due to several factors such as the distance of the source from walls or reflective surfaces and absorbing number of camera. But these factors do not order this item. The power consumed by the speaker – power amplifier, say, influence the sound pressure level in a much more gentle than one might think … Each doubling to, such as moving from a 50W amplifier within a given 100W amplifier gave the maximum, mean an increase of only 3 dB sound pressure level! A switch from 100W to 150W, means, in terms of the human ear … almost nothing. Starting from 100W in order to achieve a doubling of sound pressure level perceived by the ear, no need neither more nor less than 1000W; basically, to achieve a doubling of volume, it takes 10 times more power. A bracket before closing: between the speakers, tweeters have sensitivity largest by far, so we used to drive power is always less; starting from the premise that a speaker with The smaller the more effective you come to a wrong conclusion: in fact, except tweeter s, mostly of cases, the higher the speaker (in limits of common sense), the more efficiently. Frequency response of headphones usually ranges between 20 and 20,000 Hz, but the wider, the better. 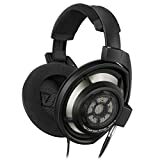 It is also a good idea to look for headphones which have a magnet of Neodymium, as this greatly improves sound quality. Other technologies such as bass booster and Crystal audio are optional. 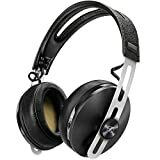 Best headphones on the market have a frequency which ranges between 10 and 23,500 Hz. What conclusions might be drawn from these lines? The conclusion I drew it myself is that the power amplifier is rather less important in sound pressure level obtained, and as a speaker efficient (and thus expensive) is more useful, both by higher volume and by clarity and better smoothness overall. If you have other findings, you are free to add comments to this article.